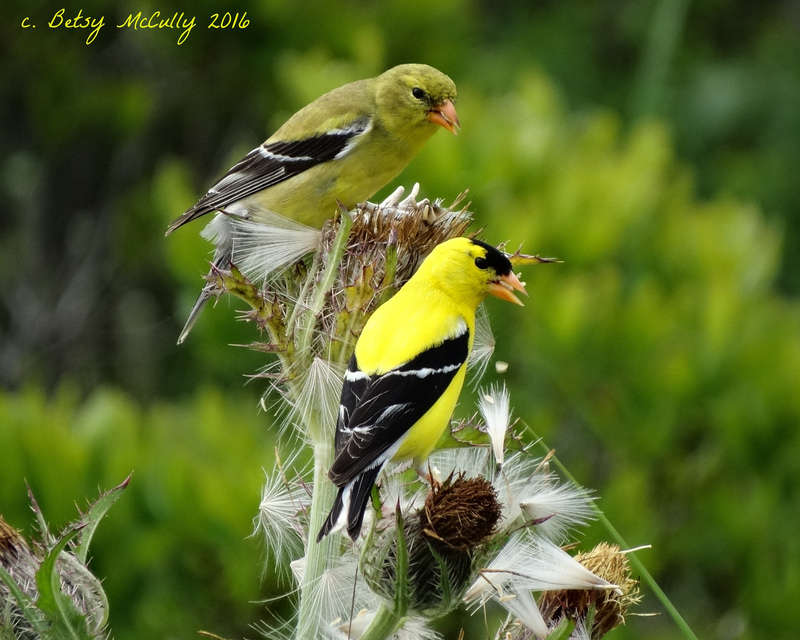 American Goldfinch (Spinus tristis). Open woodlands. Year-round. Breeder. They collect thistle down to line their nests.